The fantasy of photographers can be ruthless. And sometimes it happens that things not quite matching the place or time period can appear in a photo. Bright Side has found photos that don’t have any logic in them, simply things you were not expecting to see. 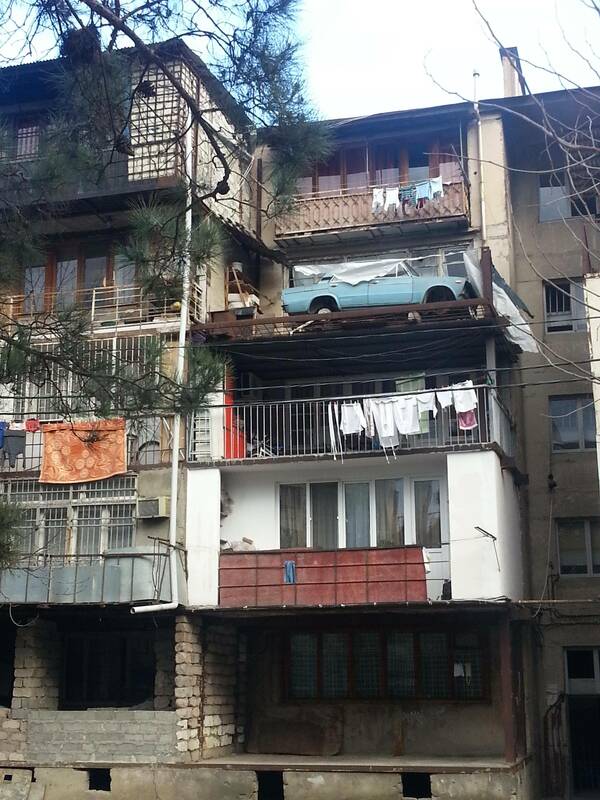 A car on the 4th floor. How did they manage to get it there? Build a cruise ship on a mountain? Many things are possible in South Korea. I am not sure what amazes me more: the cat in the fridge or the fact that there is only one bottle of milk. There is something strange here too. A Swedish restaurant in the USA decided to place goats on the roof. ...unless, of course, they were built by some joker. Lion: "Let’s get out of here, buddy. No one is going to hurt you." We should present such pianos to every neighbor! Another way of making cheeseburgers? No time for explanations. It can’t be compared with laying asphalt during the rain. It’s much cooler — it’s mowing hay in November. "Sarah Connor, come with me if you want to build snowmen." Coming soon on all Christmas trees of the world! Do you have any interesting photos to share? We would be glad to see them in the comments!